As social media platforms came along, most ecommerce businesses are pretty excited about the sales opportunities they offer. However, even though social media sound like a gold mine, with their thousands and thousands of users and their free posts, there is a good old tool that has proven more effective for ecommerce. That tool is email, and here’s why you shouldn’t neglect it. The main attractions of social media is that you can access more people than you could ever have join your mailing list, and if you also get shares and retweets, the potential audience multiplies. But does it mean you are getting noticed by all these people? Most Facebook users join it to connect with friends and get tons of posts in their newsfeed, so there is a good chance your post will go unnoticed by most of these thousands of users. Tweets are also easily lost in the huge amount of information; plus, the platform gives preference to its advertisers, so your free tweet may never even show up in the search results. With email marketing, you are able to reach every person individually, and the chances to get their attention are much higher. Selling a product requires an individual approach, and delivering your offers directly to people’s mailboxes allows you to be more personal and provide a more customized experience. The Direct Marketing Association says ROI from emails can reach an astonishing 4,300%, and over 50% of users who get emails about discounts and special offers actually use them. 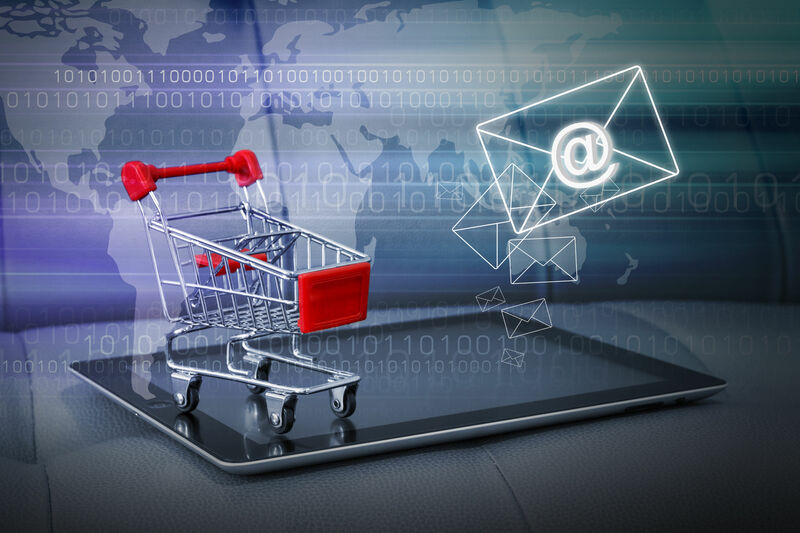 Custora, an analytics platform for ecommerce businesses, studied the data of 72 million ecommerce customers and came up with a conclusion that email marketing has the highest rate of user acquisition, with Facebook and Twitter lagging far behind. Moreover, 12% of email-acquired customers continued to buy from businesses, while only 1% of Facebook-acquired buyers make a second purchase. Naturally, search remains the main tool customers use when looking to buy products, but it is getting harder and harder for online retailers to get good positions in search results. With Google constantly updating its search algorithms, ecommerce businesses have to constantly reconsider their SEO strategy, and often find themselves losing the acquired results after the next big update. The power of email marketing is that it is not influenced by any algorithm updates, and the results you get depend only on how wisely you use it. Build your email list the right way. You may be tempted to compile ‘cold’ lists off social media or other web resources, but the lists that work best are those where people are familiar with your business. Make sure you collect the emails of everyone who makes a purchase on your website, leaves feedback, contacts you, or gets a discount card from you. Create a prominent subscription field on your website so that people could join your list voluntarily. Use various types of content. Text content always works, but you should explore and try other media: videos, podcasts, infographic, or whatever can be applied to your products. You will see what content types get more engagement and focus on producing more of that. Make the content useful and interesting. You want your subscribers to anticipate your new emails and be eager to open them. That is why, instead of bombarding their mailboxes with offers to buy, send them information they’ll find useful: announcements of new products, sales and discounts info, video reviews of your products, etc. Email marketing may not be new, but the data demonstrate it is just as effective for ecommerce as it used to be, provided you do it the right way. Now, what channels of acquiring customers work best for your online store? Feel free to share your experience in the comments.